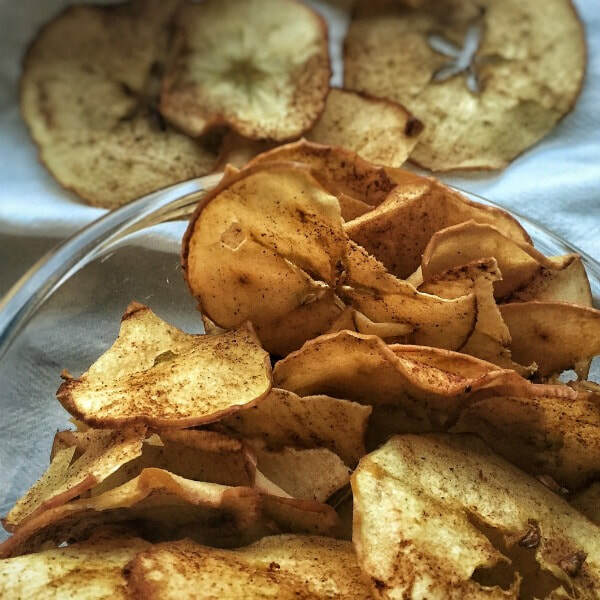 You can make these "chips" with most fruits and even some vegetables! Try bananas, pears, sweet potatoes and beets! We also have recipes for kale chips and homemade baked tortilla chips! Place apple slices on baking sheet and sprinkle cinnamon evenly on apple slices. Bake for 1 hour, then flip apple slices and bake on other side for about another hour.